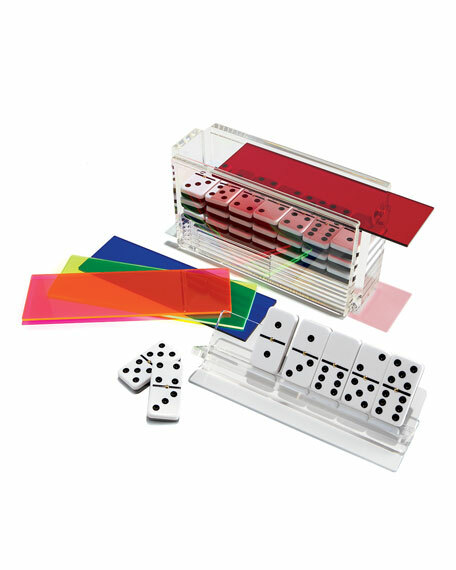 Luxe Dominoes "El Catire" modern acrylic domino set. Transparent box with brightly hued lid that catches the light. Jumbo tournament-size (2.1"L) dominoes with spinners included. Set also includes four transparent racks. For in-store inquiries, use sku #2372819.